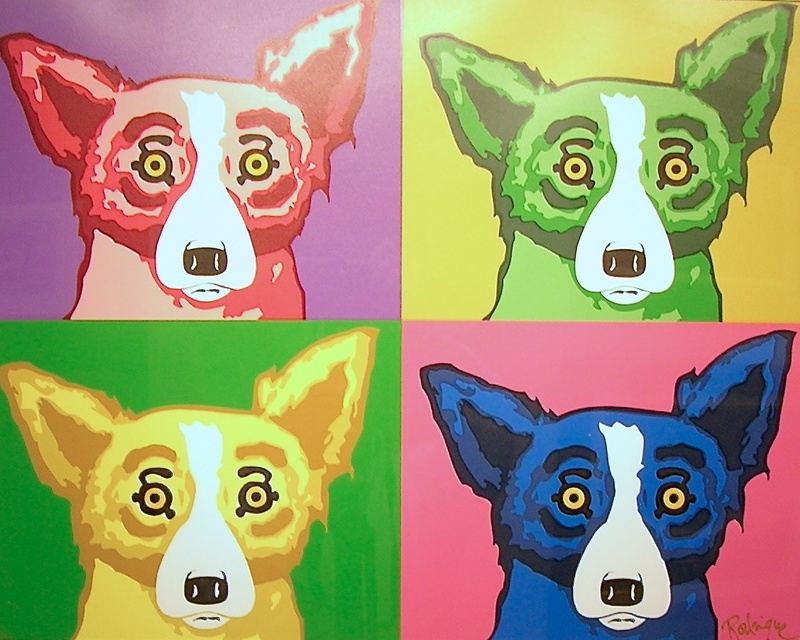 Signed and Numbered #6 From The Edition Of 90. 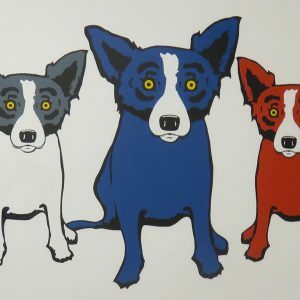 Born and raised in New Iberia, Louisiana, artist George Rodrigue (1944 – 2013) is best known for his Blue Dog paintings , which catapulted him to worldwide fame in the early 1990s. 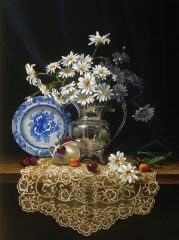 His art studies at the University of Louisiana at Lafayette followed by the Art Center College of Design in Pasadena, California gave him a foundation that spawned one of the greatest success stories in southern art. 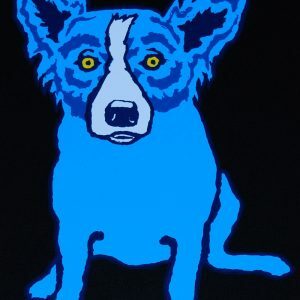 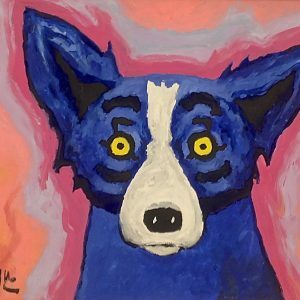 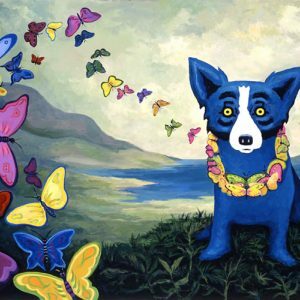 Rodrigue, who began painting in the third grade while bedridden with polio, had already won local acclaim for his rich portrayals of the landscape and people of South Louisiana when Blue Dog transformed the image of the original Cajun werewolf dog — the loup-garou — into an international pop icon.